I am jumping on the fancy planner band wagon! I am and always have been someone who has to have a physical calendar and someone who has to write things down. In college, I tried going digital and bought a fancy PDA. I never used it and eventually gave it to my boyfriend (who is now my husband). I don’t use my phone or computer’s calendar system. Currently, I use a small spiral planner, and I end up having post-it notes and several notebooks everywhere. I am on the hunt for a better planner. 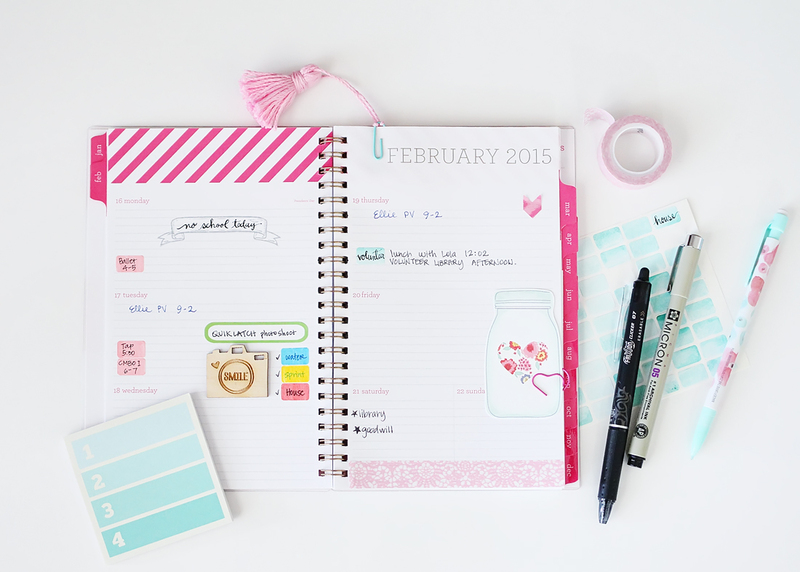 I have seen several companies with planners great for busy moms. Here is the planner I’m using now. I got it at target and it’s by the brand sugar paper. It’s a cute little planer, but I would like more writing room, a place for notes and to-do lists. It would also be nice to have a section for my photography notes. You will need label stickers. I got mine at office max. (I couldn’t find any this small at Target or Wal-Mart.) 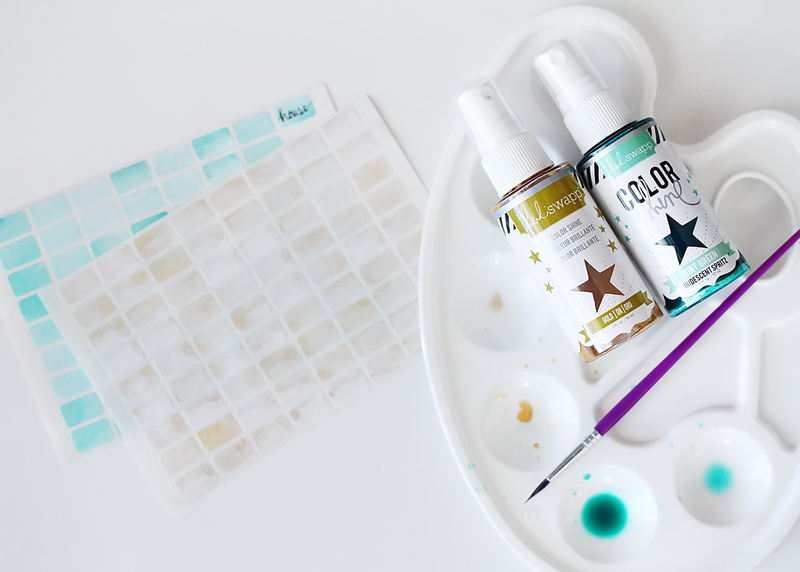 You can color in the labels with what ever you have on hand…markers, color pencils or crayon, paint… Make sure your labels are fully dry, and then you can write on them. I used 3 different mediums to color my labels. 1. 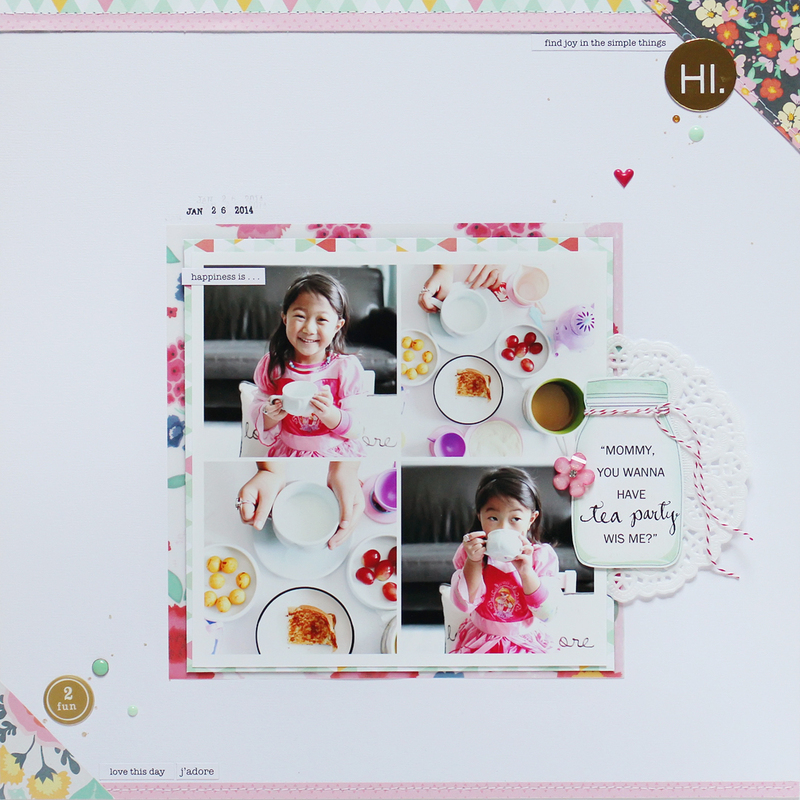 Scrapbooking mist. I used the Heidi Swapp color shines because I like that they have some glitter in them. Shake your mist well, then pour a couple drops into a dish. I wanted more of a sheer wash of color, so I added water to the mist. 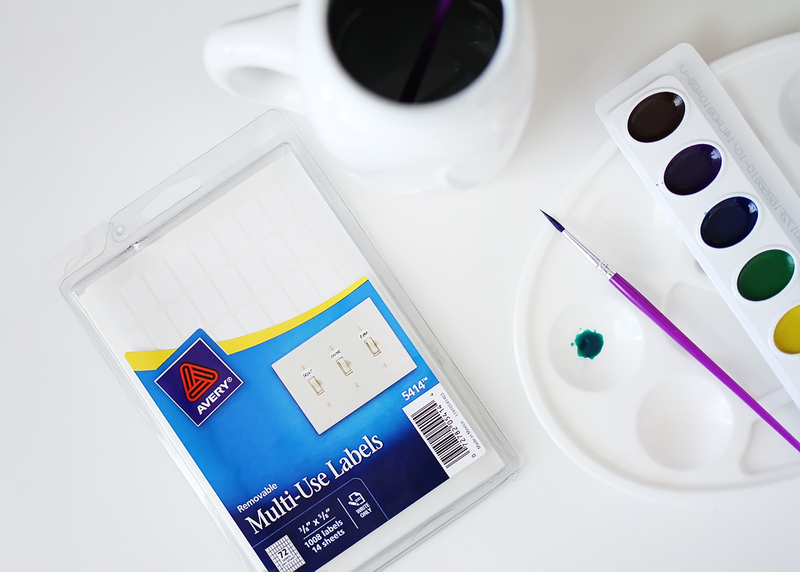 Then use a paint brush and paint your labels. It doesn’t have to be perfect! 2. Markers. I just used my daughter’s crayola markers, and they turned out great! I wasn’t sure I liked the streakiness of the markers (like the row of bright pink in the photo), but when the labels dried, it evened right out! 3. Water color paint. I love the look of water colors. So easy! 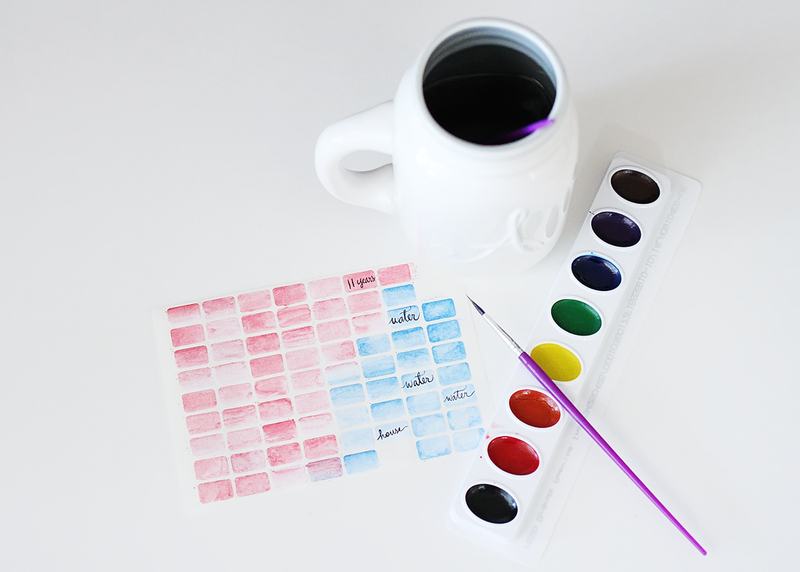 You can control how bold you want the colors to be just by adding more water! These are $1 store water colors! 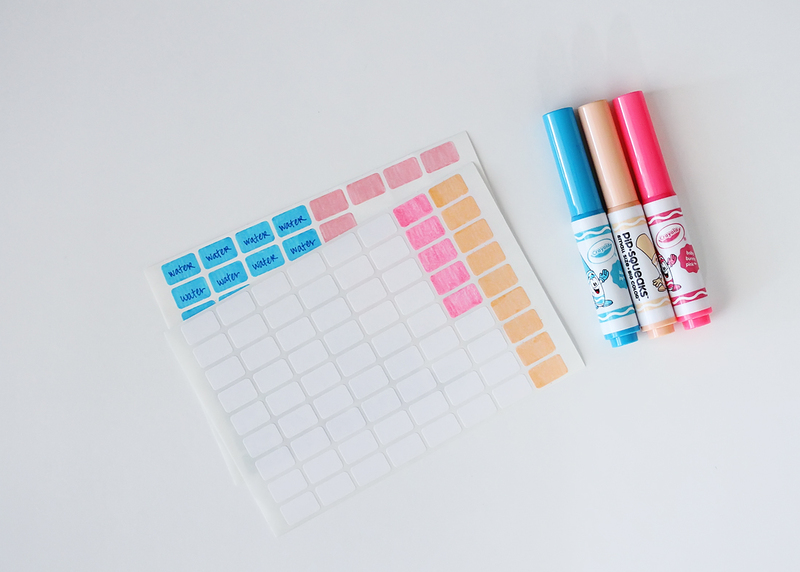 I’ve also placed a few planner sticker orders on etsy. Once they come it, and I decide on a planner, I will keep you posted! 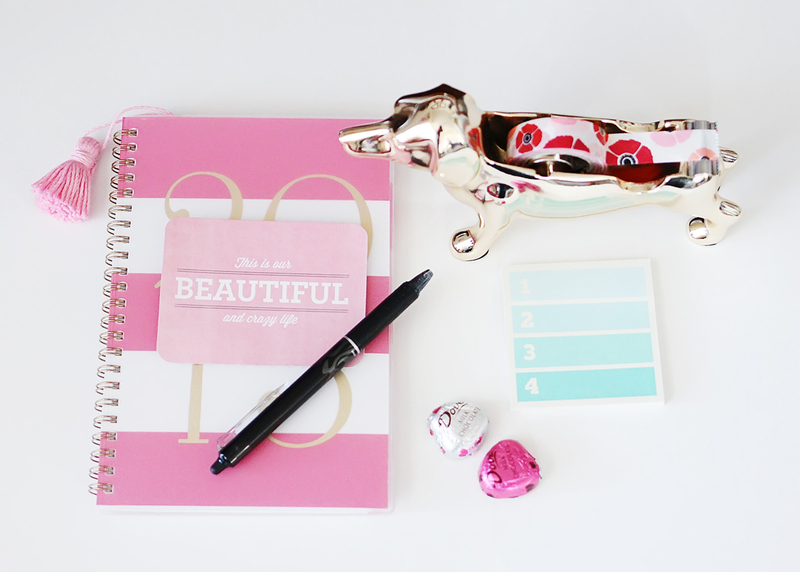 Let me know what planners, stickers, and accessories are your planning must-haves! I would love to know! Happy planning and happy Wednesday! I hope you all had a great Valentine’s Day! I got to spend time with my very special valentines. My daughters and I had a tea party brunch, and then the Mr and I went out for date night. 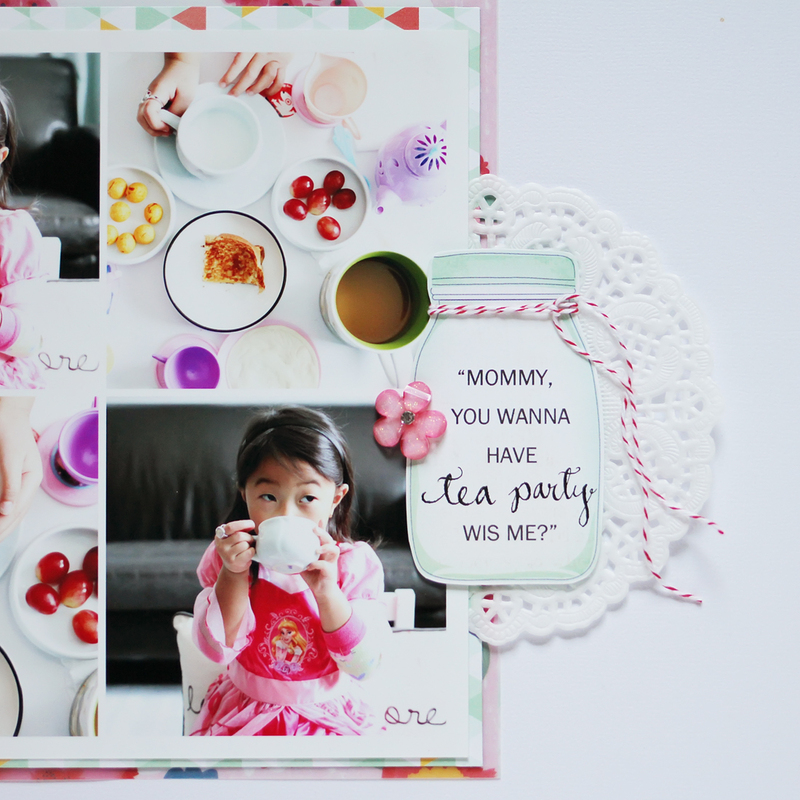 Speaking of tea parties, I recently created a layout featuring photos of a tea party I had with Miss E when her sister was at school. I really struggled with this layout. I probably started completely over at least 3 times! However, I went with one of my go-to layout designs, and I like how it turned out. I believe all the patterned paper is by dear lizzy. The mason jar is also from a dear lizzy paper that I cut out. The “Hi.” circle and tiny word phrases are by Teresa Collins, the pink flower and twine is by martha stewart crafts, the “2 fun” circle is by pink paislee, the mint enamel brad and enamel dots are by MME, the little heart sticker is by KandCompany, and the gold mist is by Heidi Swapp. Hello all! I hope February has been good to you so far! Looking through instagram, I somehow came across a handmade Valentine’s card swap, and I signed up for it just in time. 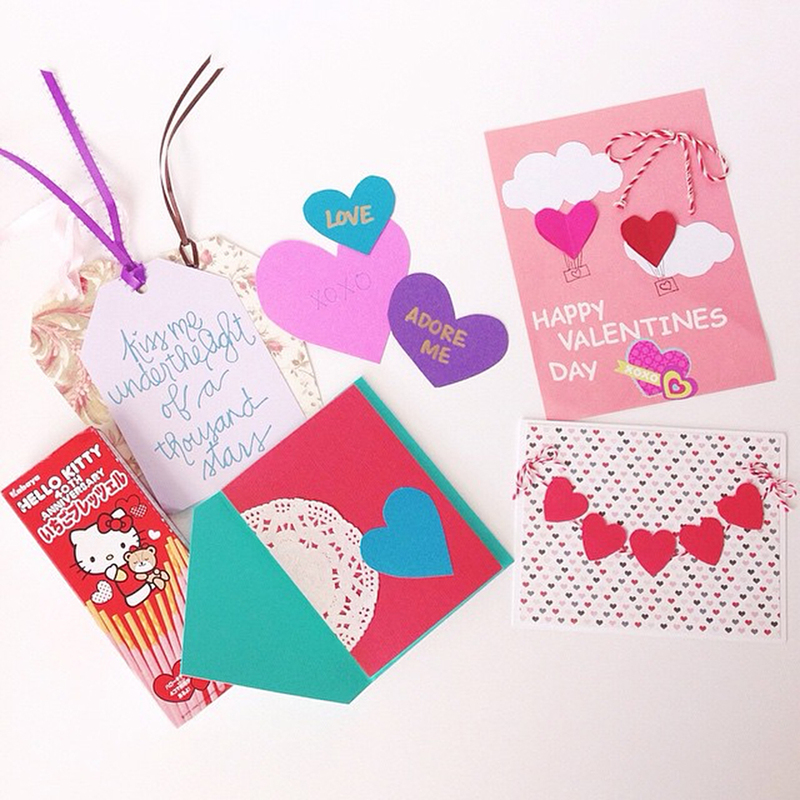 You can read about it here: http://www.thestationeryplace.com/2015/01/2015-handmade-valentine-swap.html . After a couple days, I was e-mailed 3 names and addresses to send my cards to. So exciting! Last weekend, I made cards and put together some goodies to send off to my swap partners. I also sent one to the swap host Lyndsey, so I made 4 packages total. 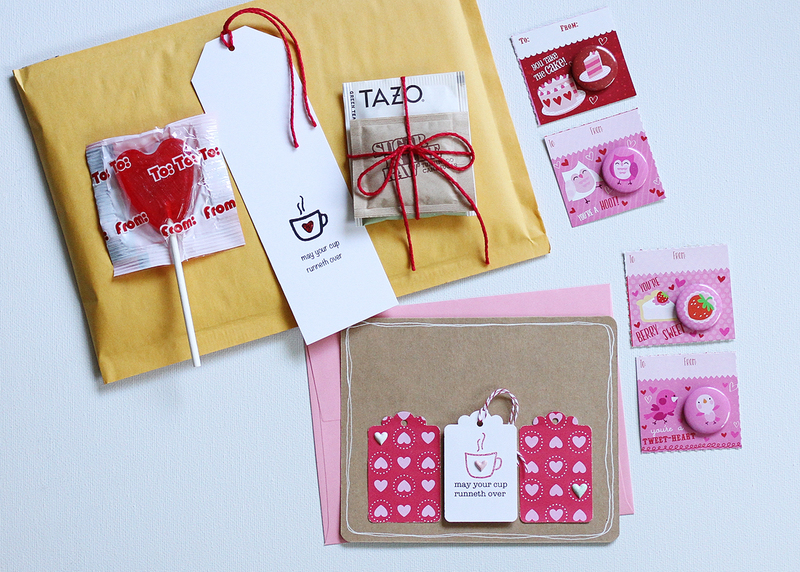 I love getting traditional mail (#happymail) and I love Valentine’s day, so I’m super excited to see what will pop up in my mail box in the next couple of days! 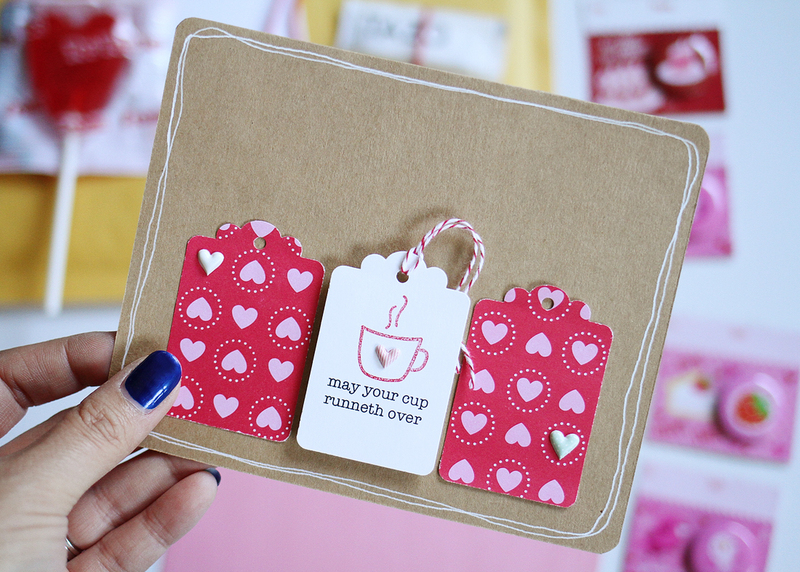 The cup stamp is by gossamer blue, and the puffy heart stickers are by K&Company that I picked up at target. The heart patterned paper is from the target dollar spot (last year). Have an awesome Thursday & upcoming Valentine’s Day! Hello world! Did you watch the Super Bowl? I thought Katy Perry rocked the half time show! I can’t believe January has flown by! I feel like as I get older, time goes by faster. 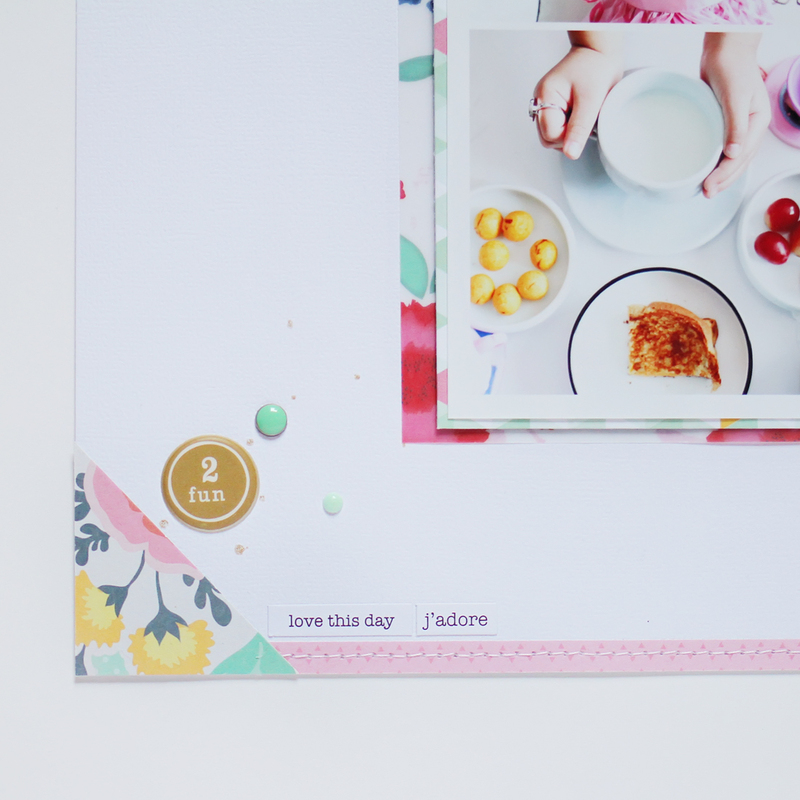 Since my 2014 faves seemed to be a hit, I thought that I would share some of my favorites at the end of every month….some scrapbooking products, some beauty products, and random favorites. 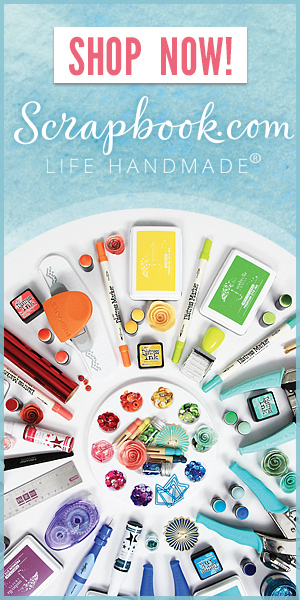 They may not necessarily be brand new products, but stuff that I’ve been enjoying or recently re-discovered. 1. 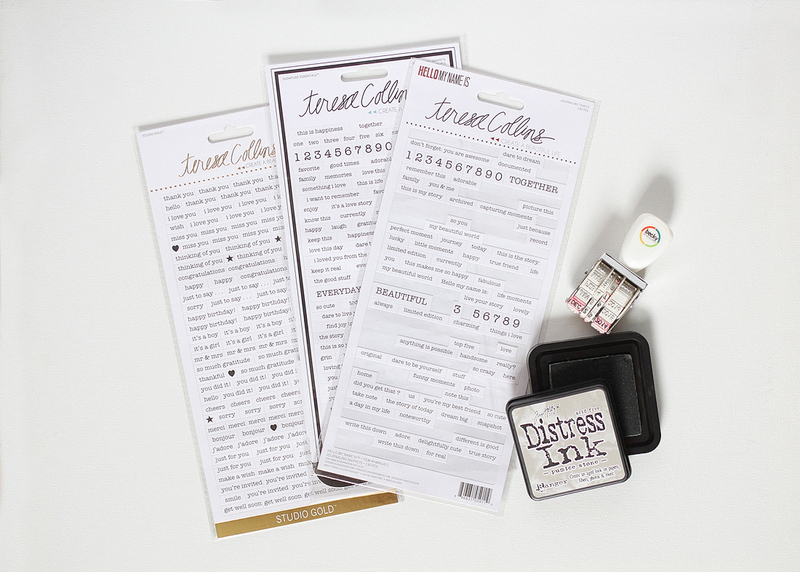 Teresa Collins tiny word/phrase stickers. Love these! I first got my hands on these for december daily, and since then, I have been on the hunt for more! I found mine at my local JoAnn’s for about $5. 2. Project Life by Becky Higgins date stamp. Font and size are great on this little stamp. I use it on every single layout! 4. 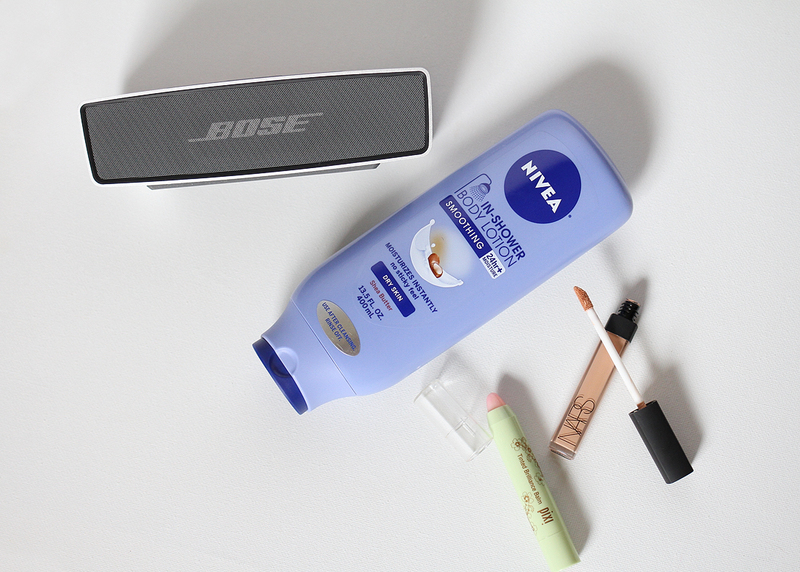 Bose mini bluetooth speaker. I have been wanting a good quality bluetooth speaker for a while now. For Christmas, the hubbie and I got a few couple gift cards, so we decided to put them toward something we both would use. This little speaker has been great for shower sing-alongs & handy in my scrapbook room as well. Love the sound quality that comes out of such a compact speaker, and love that it has a power charging dock! 5. Nivea In-Shower body lotion. This is a brand new product, and I found it at target for about $6. You rub this lotion all over your body in the shower after cleansing. Then, give yourself a quick rinse and pat dry with your towel. Game changer!!! I usually hate getting dressed after just applying lotion, because I find that most lotions leave my skin feeling a bit greasy. I don’t get the greasy feeling at all with this product. I also feel like my skin gets all the moisturizing benefits of this lotion, because you put it on in the shower while your pores are still open. 6. NARS creamy radiant concealer. I have been eyeballing this concealer ever since it came out, and since my sister got me a sephora gift card for Christmas, I decided to splurge. I LOVE this concealer! It’s creamy, it blends well (I like to pat the concealer in with my ring finger, then smooth it over with a beauty blender), and it lasts all day on me. That’s really all you could want in a concealer! 7. Pixi tinted brilliance balm in unique pink. This is one of those “color changing/ adjusts to your pH for the perfect pink” kind of balms. I just love how moisturizing it is on my lips (my lips are normally very dry, but extremely chapped in the colder months), and it gives just a hint of pink that’s perfect for no makeup/ light makeup days. You can find this brand at target, and I got it for around $14. 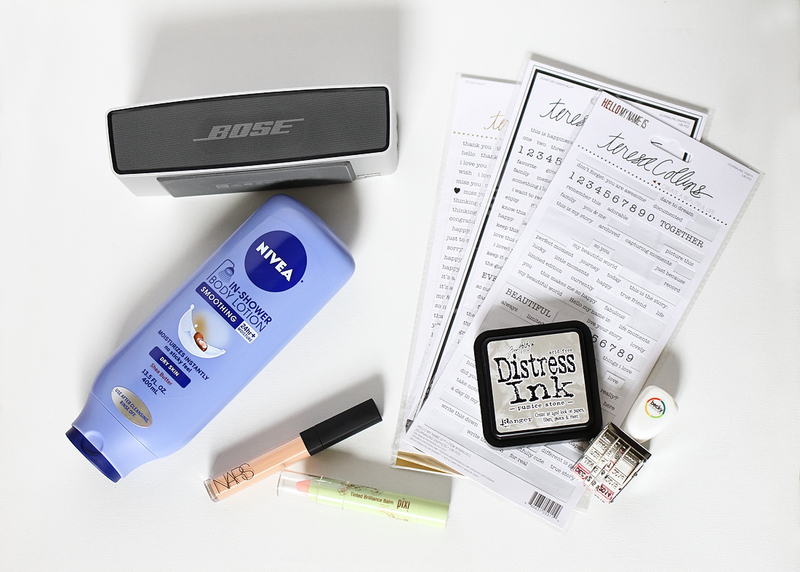 So…that’s just a few products I’ve been loving in January. Care to share some of yours?